I must apologize for being MIA the last few weeks. Tax season is upon us and I do tax returns at this time of year. Also, I hit a sort of writer’s block which happens from time to time and I need to take a break and let my tank fill up again. Now, to get back to 1760’s Great Lakes, we left the First Nations in the precarious position of having to deal with the arrogance of the British and the threat of starvation. There was an Ottawa chief from Detroit that had gained prominence among the various First Nations of the Great Lakes. He earned their respect by his actions during the French and Indian War. He was at Braddock’s defeat as well as other victories attributed to Montcalm. Pontiac was also among the war chiefs gathered at Fort William Henry. In the fall of 1761 Captain Rogers of New Hampshire was sent with two hundred rangers to take possession of Fort Detroit. While camped at the present site of Cleveland, Ohio he was met by Pontiac and a few of his warriors. Pontiac asked him for what reason was he in his country. Rogers replied that he was there to take possession of Fort Detroit for the British. He told Pontiac that the French had ceded all of North America to the British and that they now had supreme command of all the territories. Pontiac, although dismayed, expressed a desire for peace then returned to his village near Detroit. Rogers arrived at Detroit, struck the Fleur de Lei and replaced it with the Union Jack. That winter was a particularly hard one for the First Nations living in the area. The following summer the Chippewa, Ottawa, Potawatomi, Wyandotte and Seneca were invited by Pontiac to a council held on the Ecourse River just south of Detroit. Some Chippewa from the Michilimackinac area also attended as well as two Frenchmen who were travelling with them dressed in native garb. (When the area came under the sway of the British the Ojibwa became known as the Chippewa and the name Saulteaux fell out of use.) Pontiac stood in the center of the gathering and began to speak. War belts were sent out to the various Miami nations living along the Wabash River, the nations living in Ohio country as well as the Six Nations. Luc de La Corne had been propagating the rumour among the western nations that a French fleet would arrive soon to retake the country. This rumour was bolstered by Spanish and French disturbances in the New Orleans area. Most First Nations answered the call to arms, but not all. There were some chiefs who sought to deal with the British in a more peaceful manner. Wabbicommicot, a major Mississauga chief from the Toronto area warned the British that an attack was coming the following spring. He also influenced most of the Mississauga warriors not to join Pontiac. One Miami chief had also warned the British by giving a war belt to an Ensign Robert Holmes which had been sent to him by the Shawnee. All of the unrest failed to faze Amherst. He answered it by restricting the amount of ammunition British traders could sell to the natives. He said they had plenty of ammunition which was not true. This only increased the threat of starvation. A stratagem was devised by which plans to attack the various British western forts were assigned to individual nations. Fort Michilimackinac was appointed to the Chippewa war chief Minweweh while the Illinois were to destroy Fort St. Joseph. The forts south and east of Lake Erie were alloted to Iroquois, Ohio and Wabash nations. Fort Detroit was to be Pontiac’s prize along with the Detroit and Lake Nations. The individual assaults were coordinated to happen on or about the 15th day of the Frog month or the 7th of May 1763. 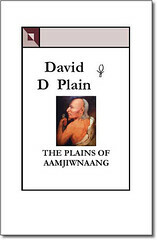 You are currently browsing the Books by David D Plain Blog blog archives for March, 2011.